Carry your Glock® with confidence and comfort with this Caldwell® Tac Ops Molded Retention Holster. 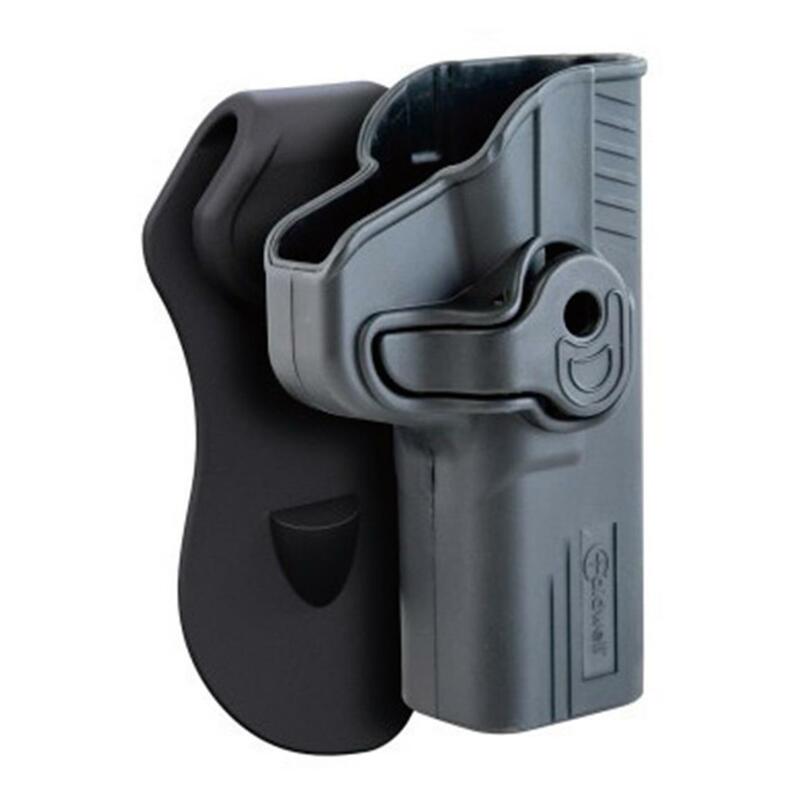 Model-specific, molded polymer construction provides a perfect fit and trigger guard retention lock and paddle clip retention posts ensure secure carry. Plus, 360º adjustability for the perfect cant.